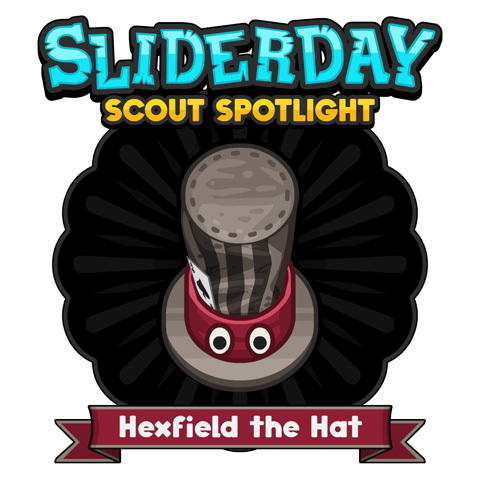 Today’s Scout Spotlight is the mysterious, Hexfield the Hat! This scout once belonged to the biggest crime boss in all of Cactus Canyon. Hexfield the Hat has an inherent love of treasure. This often leads to Hexfield sliding off cliffs in search of those shiny, golden coins. Who has been lucky enough to get their very own Hexfield the Hat? If not, go get our newest FREE game, Slider Scouts, and try it out!